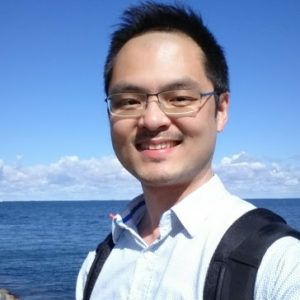 Chun-Da Liao works as a Marie-Curie COFUND Research Fellow, belonging to Nanodevices group in the department of Nanoelectronics Engineering since November 2017. Previously he was a Research Scientist in both Material Science Center and National Graphene Institute at the University of Manchester in the United Kingdom, carrying out several industrial projects on the massive production of graphene using chemical vapor deposition, followed by joining BGT Materials (Industrial Partner of National Graphene Institute) as a Senior Research Scientist/Project Leader. He received the Ph. D. degree in optoelectronic engineering from National Taiwan University in 2010. His research interests mainly focus on the design of microcantilever sensors and optical MEMS. From September 2010 to December 2013, he was working for his substitute military service at Institute of Atomic and Molecular Science, Academic Sinica based at National Taiwan University. During this period of time, he was involved in the research of graphene synthesis and the applications of 2D materials. C. Liao, Y. Y. Lu, S. R. Tamalampudi, H. C. Cheng, Y. T. Chen. Vapor Deposition Synthesis and Raman Spectroscopic Characterization of Large-Area Graphene Sheets, The Journal of Physical Chemistry. The evolution of MEMS displays, IEEE Transactions on Industrial Electronics. C. C. Chen, C. J. Kuo, C. Liao, C. F. Chang, C. A. Tseng, et al. Growth of Large-Area Graphene Single Crystals in Confined Reaction Space with Diffusion-Driven Chemical Vapor Deposition, Chemistry of Materials. S. R. Tamalampudi, Y. Y. Lu, R. Kumar U, R. Sankar, C. Liao, et al. High Performance and Bendable Few-Layered InSe Photodetectors with Broad Spectral Response, Nano letters. C. Liao, T. C. Tsai, Y. Y. Lu, Y. T. Chen. Device Architecture and Biosensing Applications for Attractive One-and Two-Dimensional Nanostructures, Nanobiosensors and Nanobioanalyses.